Cancers, one of the leading causes of death worldwide, come in many different types and forms in which uncontrolled cell growth can spread to other parts of the body. Unchecked and untreated, cancer can spread from an initial site to other parts of the body and ultimately lead to death. The disease is caused by genetic or environmental changes that interfere with biological mechanisms that control cell growth. These changes, as well as normal cell activities, can be detected in tissue samples through the presence of their unique chemical indicators, such as DNA and proteins, which together are known as “markers.” Specific combinations of these markers may be associated with a given type of cancer. The pattern of markers can determine whether an individual is susceptible to developing a specific form of cancer, and may also predict the progression of the disease, helping to suggest the best treatment for a given individual. For example, two patients with the same form of cancer may have different outcomes and react differently to the same treatment due to a different genetic profile. While several markers are already known to be associated with certain cancers, there are many more to be discovered, as cancer is highly heterogeneous. Mapping Cancer Markers on World Community Grid aims to identify the markers associated with various types of cancer. The project is analyzing millions of data points collected from thousands of healthy and cancerous patient tissue samples. These include tissues with lung, ovarian, prostate, pancreatic and breast cancers. By comparing these different data points, researchers aim to identify patterns of markers for different cancers and correlate them with different outcomes, including responsiveness to various treatment options. This project runs on BOINC software. Visit BOINC or WCG, download and install the software and attach to the project. While you are at BOINC and WCG, look over the other projects for some that you might find of interest. Join in and help to build a Desktop Computer Grid dedicated to general Classical Dynamics for any scientist or science student! Leiden Classical is a distributed computing project run by the Theoretical Chemistry Department of the Leiden Institute of Chemistry at Leiden University. Leiden Classical is part of the BOINC system, and enables scientists or science students to submit their own test simulations of various molecules and atoms in a classical mechanics environment. ClassicalDynamics is a program (and with it a library) completely written in C++. The library is covered by the LGPL license and the main program is covered by the GPL. To join this project, download and install the BOINC software. Then attach to the project. While you are at BOINC, look at the other projects to see if you might find any others of interest to you. The malariacontrol.net project is an application that makes use of network computing for stochastic modelling of the clinical epidemiology and natural history of Plasmodium falciparum malaria. The fight against malaria was given a new impetus by the call for eradication at the Gates Malaria Forum in October 2007, making more but still limited resources available for research, development, and combating malaria. To inform decisions on which new or existing tools to prioritize, we have developed a general platform for comparing, fitting, and evaluating stochastic simulation models of Plasmodium falciparum malaria, programmed in C++ (openmalaria). We use this to inform the target product profiles for novel interventions like vaccines, addressing questions such as minimal efficacy and duration of effects needed for a vaccine to be worthwhile, and also to optimize deployment of established interventions and integrated strategies. Field trials of interventions consider effects over 1-2 years at most, but the dynamics of immunity and human demography also lead to longer term effects. We consider many different outcomes, including transmission reduction or interruption, illness, hospitalization, or death, as well as economic aspects. Malaria occurs in an enormous variety of ecological settings, and interventions are not always universally applicable. For instance, indoor residual spraying works only with indoor-resting mosquitoes, and insecticide treated mosquito nets only with nocturnal vectors. The best combinations of interventions vary, as do optimal delivery approaches and their health system implications. There are trade-offs between high coverage and costs or feasibility of deployment. Indiscriminate deployment may lead to evolution of drug resistance or insensitivity to other interventions. To support the analysis of these elements we are assembling databases of health system descriptions, intervention costing, and vector bionomics across different malaria ecotypes. Uncertainties inherent in simulations of complex systems are addressed using probabilistic sensitivity analyses, fitting multiple different models, and basing predictions on model ensembles not single simulations. This requires super-computing, both for statistical fitting (which must simultaneously reproduce a wide range of outcomes across different settings), and for exploring predictions. We obtain this computing power over the internet from spare capacity on the computers of volunteers (malariacontrol.net). Meetings with potential users of these predicitons are used to promote the models and their predictions to wider communities of malariologists, planners, and policy specialists. We are also developing web-based job submission and analysis systems to increase internet access to models. To help in this fight, download and install BOINC software, attach to the project. While you are at BOINC, look over the other projects to see where else you might find interest and be of service. GPUGRID processes data on nVidia and AMD GPU processors. To join this project, download and install the BOINC software and attach to the project. While you are at BOINC, look over the other projects to find some of interest to you. To discover novel targets for antimalarial drugs. Malaria kills a child every 45 seconds. The disease is most prevalent in poorer countries, where it infects 216 million people and kills 650,000 each year, mostly African children under 5 years old [WHO]. And Plasmodium falciparum continues to evolve resistance to available medication. We therefore urgently need to discover new drugs to replace existing drugs. 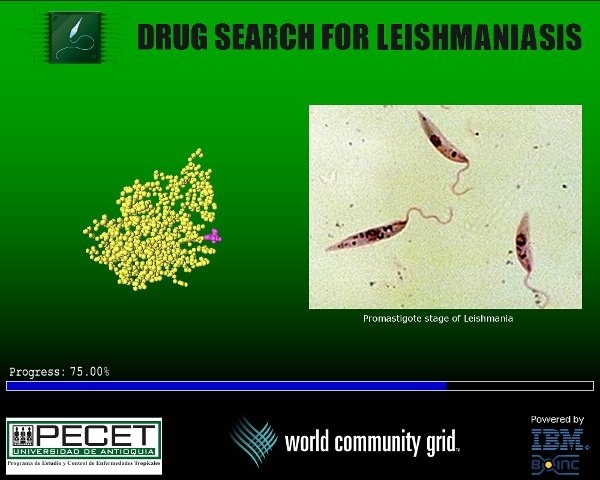 Importantly, these new drugs need to target NEW proteins in the parasite. The FightMalaria@Home project is aimed at finding these new targets. The Plasmodium falciparum genome has been sequenced, the proteome has been mapped, and protein expression has been confirmed at various stages in this apicoplexan’s life cycle. Numerous crystal structures of target proteins are also available, and the remainder have been modelled using available structural templates. Excitingly, large research organisations (GSK, Novartis) have already tested millions of compounds and found nearly 19,000 hits that show promising activity against Plasmodium falciparum [MMV]. But they don’t know which target protein is inhibited by these compounds. Drug discovery and development will be significantly enhanced by knowing the target protein for each of these hits. We plan to dock each of the 18,924 hits into structures of each of the 5,363 proteins in the malaria parasite. The computational power needed is enormous. We aim to harness the donated computational power of the world’s personal computers. Most computers only use a fraction of their available CPU power for day-to-day computation. We have built a BOINC server that distributes the docking jobs to donated ‘client’ computers, which then do the work in the background. By connecting 1000s of computers this way, we’ll be able harness the equivalent power of large supercomputers. To join the project, visit BOINC, download and install the software, then attach to the project. While you are at BOINC, look over the other projects some of which you might find of interest. 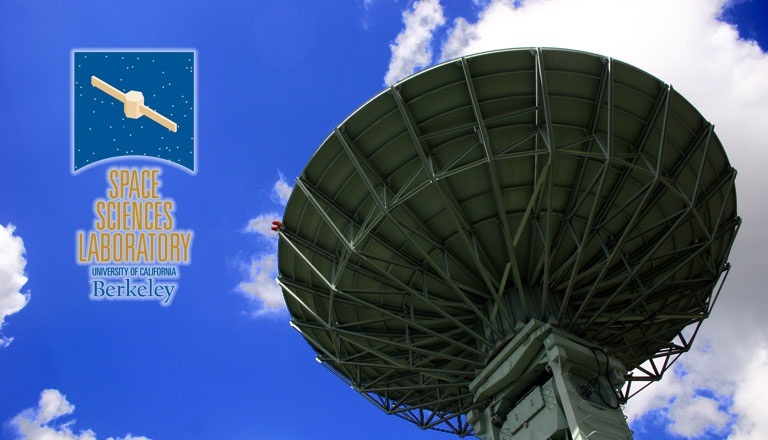 “I would like to personally thank each and every MilkyWay@home supporter who has helped us to raise $21,843.97 towards our goal of $40,480 to keep up operations through summer 2015. So far, 324 people have sent money by credit card, Paypal, and check to support our work of tracing tidal streams in the Milky Way halo and using them to determine the location of dark matter. We have received donations from $0.23 to $5000 (Wow! ), and sent out 36 fabulous T-shirts to donors. Some of you have included really wonderful notes along with your donations, that I have really appreciated. Already, your donations have made it possible to offer Jake Weiss his co-op job for fall 2014, we know we will be able to continue to publish our papers in highly cited journals for the next year, and graduate student Sidd Shelton has his summer salary funded. This puts in a much, much better position than we were two weeks ago. Additional donations will fund conference travel (so we can tell other scientists about our findings, and get new ideas) and undergraduate student summer salary. Undergraduate research have in recent years been the driver behind MilkyWay@home software development, but to continue that they need summer support and opportunities for professional travel. Thank you all, really, for your continued support of MilkyWay@home. Milkyway@Home is a joint effort between Rensselaer Polytechnic Institute‘s departments of Computer Science and Physics, Applied Physics and Astronomy. Feel free to contact us via our forums, or email [url]astro@cs.lists.rpi.edu[/url]. The Boinc developers have provided a new virtualbox wrapper which should hopefully fix the issues seen with endless work units. This has been incorporated into release 1.20. Please let us know if you still see work units which hang at the end of execution. If you have work units like this from previous versions please abort them. Apologies for the waste of CPU time. Big thanks to the Boinc developers for their help with this problem! ATLAS@Home is a research project that uses volunteer computing to run simulations of the ATLAS experiment at CERN. You can participate by downloading and running a free program on your computer. ATLAS is a particle physics experiment taking place at the Large Hadron Collider at CERN, that searches for new particles and processes using head-on collisions of protons of extraordinary high energy. Petabytes of data were recorded, processed and analyzed during the first three years of data taking, leading to up to 300 publications covering all the aspects of the Standard Model of particle physics, including the discovery of the Higgs boson in 2012. Large scale simulation campaigns are a key ingredient for physicists, who permanently compare their data with both “known” physics and “new” phenomena predicted by alternative models of the universe, particles and interactions. 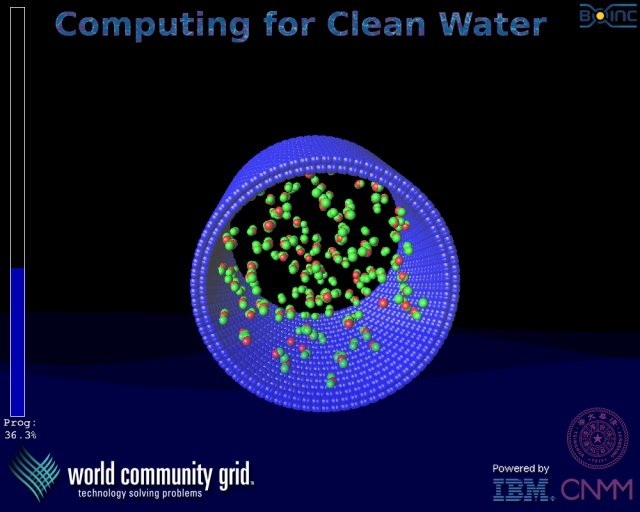 This simulation runs on the WLCG Computing Grid and at any one point there are around 150,000 tasks running. You can help us run even more simulation by using your computer’s idle time to run these same tasks. No knowledge of particle physics is required, but for those interested in more details, at the moment we simulate the creation and decay of supersymmetric bosons and fermions, new types of particles that we would love to discover next year, as they would help us to shed light on the dark matter mystery! 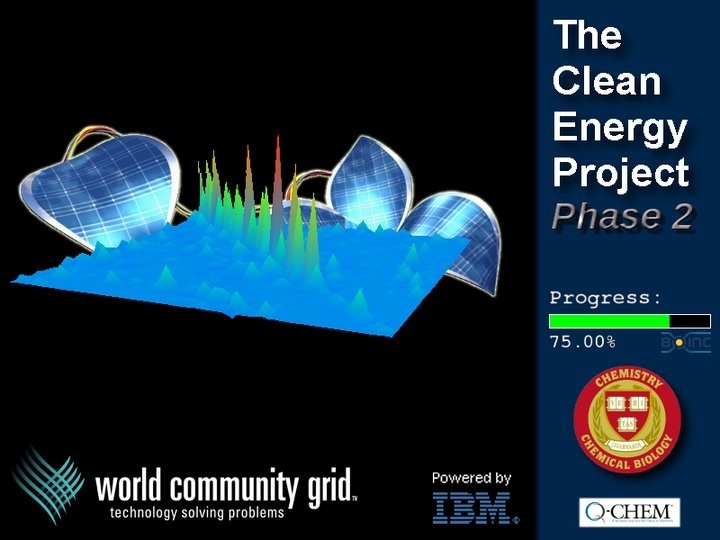 This project runs on BOINC software from UC Berkeley. Visit BOINC, download and install the software and attach to the project. Dr. Alexander Perryman describes the analysis and initial findings from the first phase of GO Fight Against Malaria, which include the discovery of several promising hits against key drug targets for treating both malaria and drug-resistant strains of tuberculosis. They are conducting further analysis and experimentation on the massive amount of data generated by World Community Grid volunteers. In under two years, World Community Grid volunteers performed the world’s largest docking project, carrying out over 1 billion calculations to help us identify chemical compounds to advance the treatment of increasingly drug-resistant strains of malaria and other diseases – a process that would have taken over a hundred years on the type of computer clusters currently available at most universities. Since we completed GO Fight Against Malaria (GFAM) calculations on World Community Grid a year ago, we’ve been analyzing the generated data. Although that process will continue for some time still, early analysis has revealed several promising findings. First, we identified the first “small molecule” inhibitor (i.e., drug-like compound) to block the activity of a particular malaria enzyme involved in infection, the first step in developing a potential treatment or prevention aimed at this malaria drug target. Also, a subset of your calculations was conducted against a drug target for malaria which shares a similar atomic structure to a Mycobacterium tuberculosis enzyme. With extensively drug-resistant strains of tuberculosis on the rise, there is a pressing need to identify more effective treatments. We therefore included this particular tuberculosis drug target in our GFAM experiments. In doing so, we have identified several chemical compounds as potential inhibitors of this enzyme and have confirmed these results with initial laboratory tests. A very impressive number of the promising chemical compounds identified through the virtual screenings you computed on World Community Grid have gone on to perform well in additional lab testing: 20% were “hits”, vs. less than 1% on average for other experimental (“wet lab”) high-throughput tuberculosis experiments. We are now designing and synthesizing new derivatives of these inhibitors to further refine them as viable drug candidates. Read on for more details about this early analysis work, and we’ll be able to share more information once we publish our findings. In the meantime, I want to thank GFAM volunteers for allowing us to advance this important and often neglected area of research. GFAM was launched on IBM’s World Community Grid on November 16, 2011. Malaria is one of the three deadliest infectious diseases on Earth (the other two are HIV and tuberculosis). Plasmodium falciparum (Pfal, or Pf), the species that causes the worst form of malaria, kills more people than any other parasite on the planet. Over 200,000,000 clinical cases of malaria occur each year, and over one million people are killed by malaria every year. Over three billion people (almost half of all humans) are at risk of becoming infected with malaria, and every 30 seconds, another child dies of malaria. 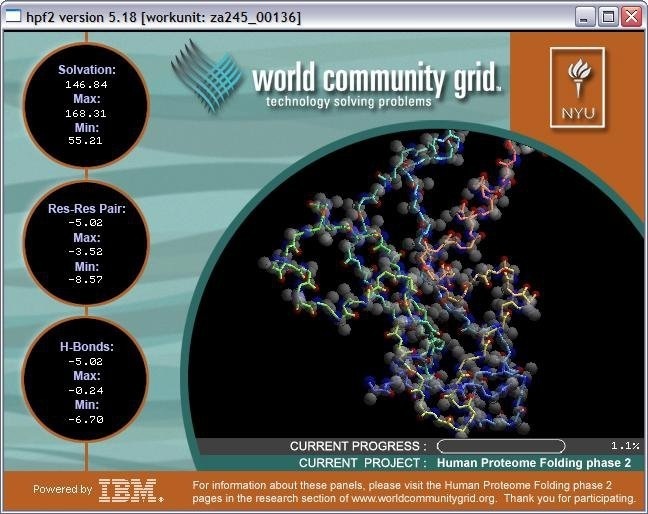 GFAM ran on World Community Grid for 19 months, during which the tremendous computational power provided by World Community Grid volunteers like you helped us generate massive data sets against 22 different types of drug targets, to seed the discovery of new drugs to treat malaria. We performed “docking calculations,” which explore how well different “small molecules” (pieces of drug-like compounds) are able to bind and potentially block the activity of critical pieces of the molecular machinery that the pathogens use to survive, replicate, and spread throughout humanity. Docking calculations use flexible models of these small molecules to explore the energetic landscape of atomic-scale models (on the scale of 0.0000000001 meters) of proteins that perform critical functions for the parasite’s lifecycle and infection process. These calculations predict how tightly a compound might bind to the target (that is, how potent it might be), where the compound probably prefers to bind, and what specific types of interactions might be formed between the compound and the drug target. One docking calculation refers to the process of docking a flexible model of a single compound against one particular version of one target. 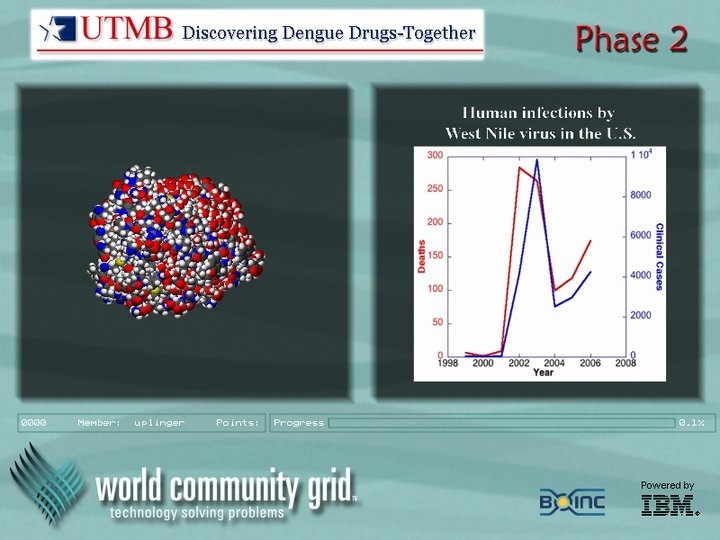 In this first phase of GFAM, World Community Grid volunteers performed 1.16 billion different docking calculations that explored the potential activity of 5.6 million different compounds against drug targets from malaria (and against some targets for treating drug-resistant tuberculosis, Methicillin-Resistant Staphylococcus aureus (MRSA), filariasis, and bubonic plague, when the targets from those other pathogens had structural similarity to the targets from malaria). With the computing power that you generously donated, GFAM was the first project to ever perform a billion different docking calculations. Performing this many calculations could have taken over a hundred years on the type of computer clusters currently available at most universities. We could not have accomplished this feat without your help. 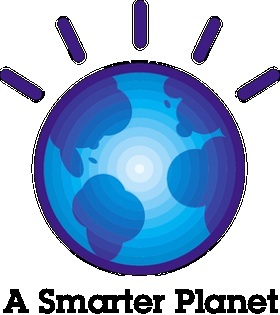 We are also grateful for the $50,000 in seed funding provided by the IBM International Foundation, from part of the prize money that IBM’s computer Watson won on Jeopardy!™. Thus far, that seed money has been the only funding that the project has received, but we are currently writing grants that focus on analyzing and extending the GFAM data. “Hits” are compounds that have some inhibitory effect on the biological activity of one of these drug targets. But finding a hit is only the beginning of the process (a complicated process that can take several years to a couple of decades to complete). Scientists from around the world called “medicinal chemists” can then work with structure-based computational chemists like us to try to increase the potency and decrease the potential toxic side effects of these compounds, which involves processes called “hit-to-lead development” and then “lead optimization”. “Leads” are larger, more structurally complex, potential drug candidates that generally display nanomolar potency (that is, they are around 1,000 times more potent than “hits”, which means that only a tiny amount of a leading compound is required to affect the activity of the target). In collaboration with Professor Mike Blackman’s lab in the Division of Parasitology at the Medical Research Council’s (or “MRC’s”) National Institute for Medical Research (or “NIMR”), in London, UK, and with InhibOx, Ltd, we searched for the first small molecule inhibitors of the potential drug target “PfSUB1″ (see target class #6 on http://gofightagainstmalaria.scripps.edu/index.php/how-we-will-discover-potential-malaria-drugs). When the Blackman lab solved the first crystal structure of PfSUB1 (that is, the atomically-detailed, 3-D map of where all of its atoms are), they shared that unpublished structure with us, which allowed us to perform virtual screens against PfSUB1. These virtual screens are searching for “small molecule” inhibitors (that is, compounds with some similarity to pieces of known drugs) that can block the activity of this malarial enzyme. When malaria parasites replicate themselves inside a red blood cell, the “daughter” parasites eventually rupture the infected host cell, which allows the new parasites to escape and then invade and infect other red blood cells. The subtilisin-like serine proteases from Plasmodium falciparum (also known as PfSUB1) are involved in this ability of the malaria parasites to escape (or “egress”) an infected red blood cell. The Blackman lab has shown that the PfSUB1 enzyme has an additional role in “priming” the merozoite stage of the parasite prior to its invasion of red blood cells (in other words, it is involved in processing certain other malarial proteins in order to prepare and activate them, so that the parasite can invade our blood cells). Thus, PfSUB1 is involved in both the egress and the infection process. In the results of GFAM Experiment 27, we discovered the first small molecule inhibitor of PfSUB1 ever identified, and it displayed a proper “dose-response curve” (that is, at higher concentrations of the inhibitor, it shuts down the activity of PfSUB1 more and more effectively), which indicates that it is likely a “specific” inhibitor, instead of a non-specific compound that randomly happens to impede activity a bit for many different types of proteins (but this will have be tested against other types of proteins to know for sure). This compound, nicknamed “GF13”, is a fairly weak inhibitor: at a 200 micromolar concentration, it blocks activity of PfSUB1 50%. Strong hits will block 50% of the target’s activity in the 1 to 50 micromolar range (the smaller the # of micromoles per liter that are needed to shut down activity, the more potent a compound is). The Scripps research team published a paper proving the effectiveness of a method to more accurately predict bindings between protein targets and drug candidates, which could benefit FightAIDS@Home and other World Community Grid drug discovery projects. The Olson Lab at The Scripps Institute collaborated to participate in the “SAMPL4 Challenge” which evaluated methods to predict protein target to drug candidate bindings. Olson’s lab in cooperation with Levy’s lab at Rutgers University were able to prove the utility of a method to reduce false positives and therefore potentially reduce the amount of laboratory work required to validate computational results. This should ultimately be a benefit to research projects such as FightAIDS@Home and other drug search projects on World Community Grid. A link to the paper is here. “Proteins are part of a complex social network, and rarely act alone. Protein-protein interactions is the term used to describe when two or more proteins ‘partner-up‘ and bind together to carry out a different biological function. While experimental techniques are used to identify the relationships between one protein and another in its cellular neighborhood, computational simulations are still needed to uncover the more complex web of connections for multiple protein partners. indirectly damaging nerves. It affects one in 2,000 people. These chronic diseases lead to a decrease in muscle strength, causing serious disabilities in motor functions (moving, breathing etc.). The most well-known is muscular dystrophy. In cases of muscular dystrophy contraction of the muscle leads to disruption of the outer membrane of the muscle cells and eventual weakening and wasting of the muscle. Dystrophin is part of a protein complex that connects the cytoskeleton of a muscle fiber to the tissue framework surrounding each cell through the cell membrane. This complex does not form correctly in muscular dystrophy. (Image courtesy Alessandra Carbone). 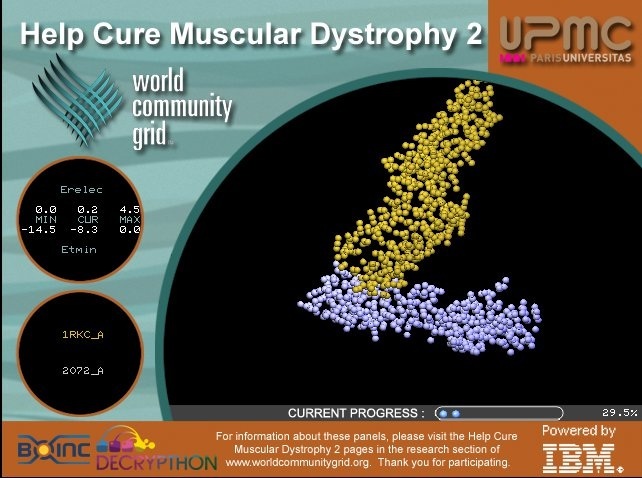 Distributed computing power from the World Community Grid (WCG) has recently aided the Help Cure Muscular Dystrophy (HMCD) project in capturing all the possible molecular and atomic connections between 2,280 human proteins. The analyzed proteins include those that are known to mutate and induce different forms of neuromuscular disorders, including Muscular Dystrophy. HCMD is part of a larger-scale venture, the Decrypthon Molecular Docking Project. This is an alliance between AFM (French Muscular Dystrophy Association), CNRS (French National Center for Scientific Research) and IBM, who are using the World Community Grid resources to help them decipher and map all the functions of interacting proteins found in humans to a worldwide repository of information such as the Research Collaboratory for Structural Bioinformatics (RCSB) protein databank. 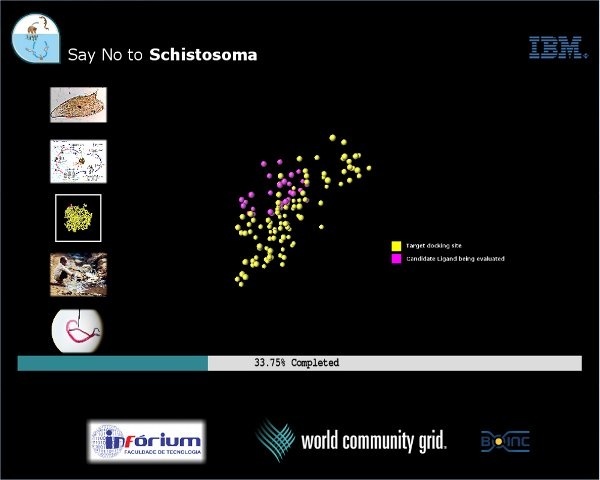 World Community Grid (WCG) runs on BOINC software from Berkeley Open Infrastructure for Network Computing from the Space Science Lab at UC Berkeley. iSGTW is an international weekly online publication that covers distributed computing and the research it enables. In its current incarnation, iSGTW is also an online destination where you can host a profile and blog, and find and disseminate announcements and information about events, deadlines, and jobs. In the near future it will also be a place where you can network with colleagues.